The photographer, Leonard Nadel, described the photograph with the following caption: "This is one of the two rooms for a family of nine people living in San Mateo-about 20 miles south of Mexico City. The other room serves as a kitchen, work room, and storeroom. When work is available in the village, a Mexican laborer may earn about 10 pesos per day. Because of this, the wage earner of the family here wants to go to the US as a farm laborer where he may earn much more anywhere from 4 weeks to 6 months." The United States has often been called a nation of immigrants and most families have stories about immigration and migration in their immediate or distant past. But the origins of immigrants to the United States and their experiences vary considerably. According to the 2000 United State census, about 12.5 percent of the entire population is Latino, the largest ethnic minority group in the nation. 51 percent of the foreign-born in the U.S. are Latino and of that number, over one-fourth are Mexican. But the experiences of Latinos today, as in earlier times, are often different. In this section, explore Latino stories and see some of the complexities of immigration. "Nací Mexicana y me voy a morir Mexicana." While there is no single Mexican immigrant experience, the story of Juana Gallegos and her descendants is fairly typical of those who migrated in the early 20th century. Born in 1900 in the rural town of Miquihuana, Tamaulipas, Mexico, Juana's life was seriously disrupted by shifts in the agricultural system, the building of a national Mexican railway system, and the Mexican Revolution. Although Juana left her native country in 1923 and moved to San Antonio, Texas, she never stopped visiting her Mexican relatives or thinking of herself as Mexican. Like many other Mexicans, industrialization and the Mexican Revolution significantly altered Juana Gallegos's life. The spread of railroads into the Mexican countryside, and the breakup of the near-feudal hacienda system of farming during the revolution, led many people to move to cities. 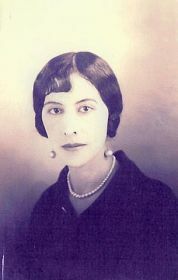 Around 1918, Juana Gallegos moved with her parents from the hacienda her father managed in Miquihuana to Mexico City where the family had political connections. 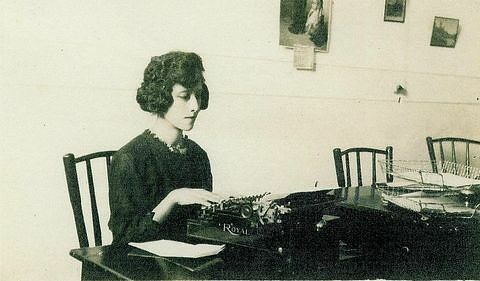 After President Carranza was deposed, Juana and her mother returned to Matehuala (near Miquihuana) and, in 1923, emigrated to the United States to escape the ongoing turbulence of the revolution. Other families experienced the same kinds of disruptions to their lives. The Valadez family—including son Adolfo—had a store in Matehuala, Mexico. During the extended unrest of the Mexican Revolution, rebels would frequently raid the store. 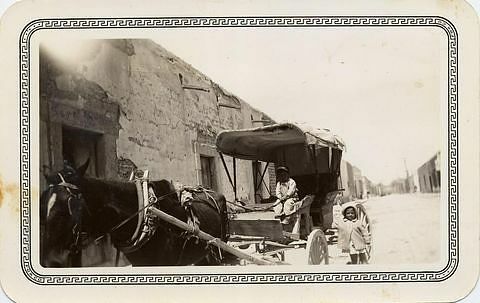 In 1920 the family fled the disorder, leaving Matehuala for Tampico. The revolution still made life difficult, so the family moved to Monterrey, Mexico, in 1923 and then traveled by train to Houston in the United States. Strong Mexican American communities in San Antonio made the transition easier for Juana Gallegos and Adolfo Valadez. Adolfo first lived in Houston and then San Antonio where he stayed in a rooming house. He worked at the Alamo Iron Works for many years. 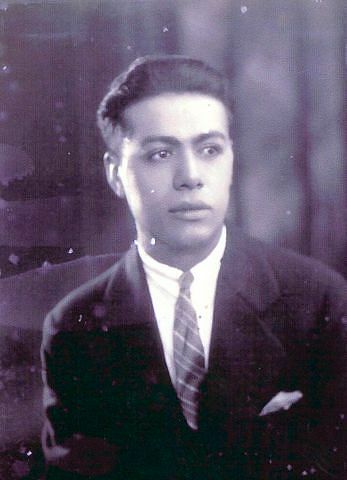 In the late 1940s, Adolfo joined other migrant Latino workers performing seasonal labor in the Del Monte canneries in Wisconsin. Immigrant communities often organize along linguistic, religious, and especially regional lines. 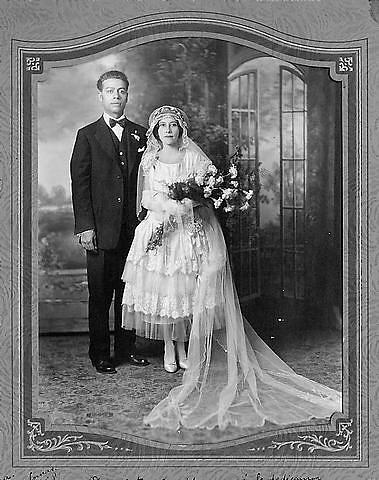 In San Antonio, Juana Gallegos and Adolfo Valadez (both with roots in Matehuala) met, married, and had three children—Christina, Ninfa, and Adolfo. 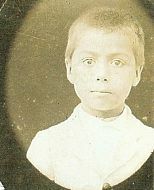 Around 1928, they brought Juana's mother Matiana to the United States. The choice to move to another country doesn't mean that bonds of friendship and family are cut. Many immigrants regularly travel back to their hometown for vacations, special occasions, and to make sure that their children understand their cultural roots. Every summer Juana Valadez would travel home to the isolated village of Miquihuana, taking her children with her. The family traveled by a series of trains from San Antonio to Matehuala, Mexico, where they would hitch a ride on the back of a supply truck. Juana Gallegos returned to Mexico regularly to visit family and friends. Here she sits with her mother and two of her children in a garden in Matehuala. Ties to home are strong in an immigrant community. Here Christina Valadez (center), with other Texan women from Matehuala, participates in a fund-raising event. 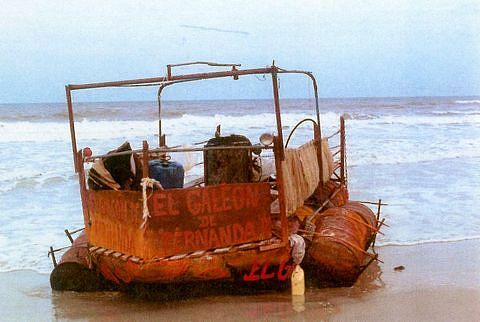 The lure of economic opportunity and political freedom enticed many Caribbean people to attempt the risky journey to the United States aboard rafts and other flimsy vessels. Those arriving from communist Cuba were generally given refugee status and allowed to stay, while most from Haiti and other impoverished areas were returned. Following Fidel Castro’s communist revolution in 1959, the exodus from Cuba to the United States increased. Florida became increasingly Hispanic as large numbers of refugees started a new expatriate life in the United States. For more about the Cuban immigrant experience, see the NMAH Archive Center's guide to "Exiles in America: Cuban Pedro Pans and Balseros." A Bracero worker in the field holding a short-handled hoe. The Bracero program (1942 through 1964) allowed Mexican nationals to take temporary agricultural work in the United States. Over the program's 22-year life, more than 4.5 million Mexican nationals were legally contracted for work in the United States (some individuals returned several times on different contracts). Mexican peasants, desperate for cash work, were willing to take jobs at wages scorned by most Americans. The Braceros' presence had a significant effect on the business of farming and the culture of the United States. 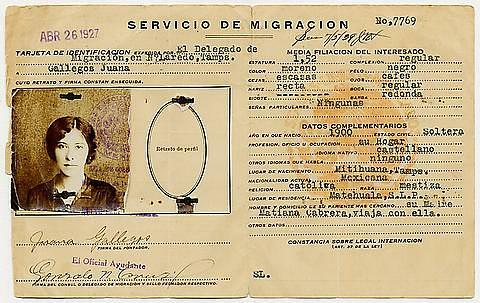 The Bracero program fed the circular migration patterns of Mexicans into the U.S.
Several groups concerned over the exploitation of Bracero workers tried to repeal the program. The Fund for the Republic supported Ernesto Galarza's documentation of the social costs of the Bracero program. Unhappy with the lackluster public response to his report, Strangers in Our Fields, the fund hired magazine photographer Leonard Nadel to produce a glossy picture-story exposé. Presented here is a selection of Nadel's photographs of Bracero workers taken in 1956. Women framed by an arch work and care for children in their San Mateo, Mexico, bracero family home. This is one of the two rooms for a family of nine people living in San Mateo - - about 20 miles south of Mexico City. Other room is a kitchen, work room, and storeroom. When work is available in the village, a Mexican laborer may earn about 10 pesos per day Because of this, the wageearner of the family here wants to go to the U.S. as a farm laborer where he may earn much more anywhere from 4 weeks up to 6 months. Home of a bracero's familiy in the village of San Mateo, Mexico. Many people learned about the Bracero Program over the radio. A woman works at home surrounded by a radio, icons, furniture, and a painting of the Virgen de Guadalupe in San Mateo, Mexico. Braceros walk in line in a sandstorm at the Monterrey Processing Center, Mexico. Braceros on the long trek to the Monterrey Processing Center, where they will be processed as potential farm workers. The journey to the Monterrey Processing Center was long and arduous, and many had to carry all of their belongings with them. Supervised by an armed guard braceros wait in line to be processed through the Monterrey Processing Center, Mexico while others wait outside the barbed wire enclosure. An official examines a bracero's hands for calluses during processing at the Monterrey Processing Center, Mexico. One of the primary requirements for employment of braceros in the United States is that the men must have farming experience. During processing at the Monterrey Control Station in Monterrey, Mexico, a USES inspector examines the calllouses of a prospective laborer and decides that he is not eligible. Only after the men are accepted for employment in the U.S. are their expenses for food and transportation paid by the U.S. A charge of $ 5.00 per head is levied on the US farmers participating in the labor procurement program. The photographer, Leonard Nadel described the photograph with the following caption: "Much in the same manner and feeling used in handling livestock, upon crossing over the bridge from Mexico at Hidalgo, Texas, the men are herded into groups of 100 through a makeshift booth sprayed with DDT." Braceros work in a lettuce field with short-handled hoes in the Salinas Valley, California. Many braceros worked six or more days per week stooped o ver, and some continued with loading and packing jobs after a full day in the field. Many growers thought short-handled hoes made workers more careful and kept crops from being damaged. Workers despised the short handled hoe because it forced them to stoop over to work. Eventually short-handled hoes were made illegal. Braceros spend their leisure time in a living quarter on a camp near McAllen, Texas. This is housing provided by a Texan farmer for 200 braceros in this long building, with the beds made out of stretched canvas, upper and lower. Such close living conditions make for the high incidence of respiratory illnesses among the braceros. Braceros examine their paychecks outside of a building in Watsonville, California. Braceros examine their pay checks. The stubs are seldom written in Spanish, often do not itemize deductions. "If you ask any questions," one man said, "they get very mad." Disputes over pay were not uncommon, as growers deducted money for food, housing, and other expenses. Participation in the Bracero program was limited to agricultural workers, and not open to urban dwellers. Prospective Braceros often were asked to show their calloused hands to prove that they were experienced farm laborers. Workers were fingerprinted as part of the processing procedure, and were fumigated with DDT before being allowed to enter the United States. For more information about Leonard Nadel and the Bracero program visit the NMAH archive center to view the Leonard Nadel Photographs and Scrapbooks, or visit the Bracero HIstory Archive at http://braceroarchive.org/.